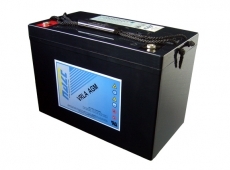 Presenting a huge choice of industrial valve regulated lead acid battery options from Haze Batteries. Haze have become a trusted company renowned for producing only the best products manufactured to the highest specifications. Offering both a 'top terminal’ selection favoured by manufacturers and installers of UPS systems and emergency lighting, and ‘front terminal’ solutions for telecoms and similar standby equipment. Haze Batteries operate on a worldwide basis and have adopted a philosophy of constant development and investment in products to ensure adaptability to ever changing requirements of power industries. It is this ability to meet with customers ever changing requirements so quickly that has made Haze Batteries one of the most popular battery manufacturers amongst engineers, installers, manufacturers and site facility management. 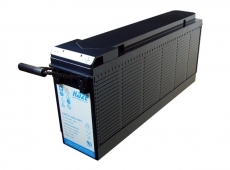 For small yet critical applications and large power systems that are essential for businesses to operate safely and securely, Haze batteries has a solution to meet with these needs. Blue Box Batteries are pleased to be able to include Haze Batteries as part of our impressive and constantly expanding product selection. Our experience in standby power is the reason we are the number one choice for industrial batteries. If you are looking for the best service and the most competitive price call the Blue Box Batteries team today.